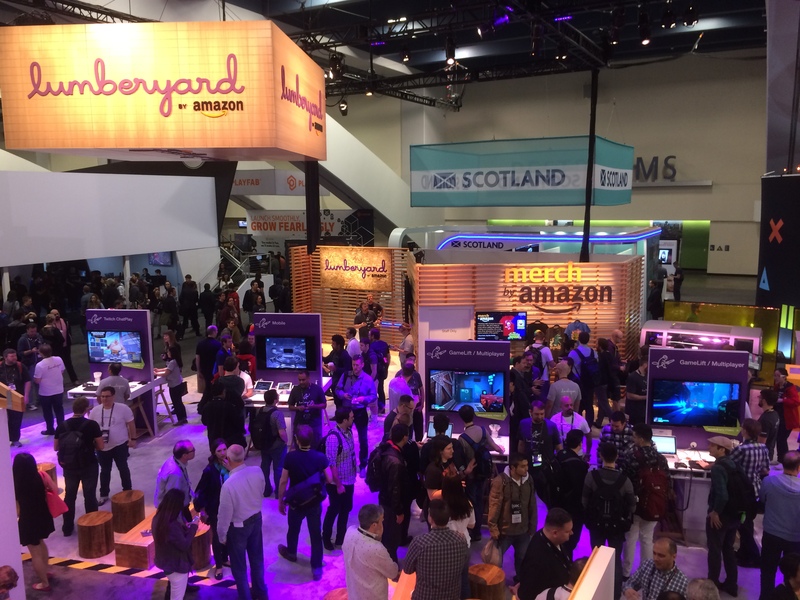 With the release of Lumberyard Beta 1.1 and our participation in the Game Developers Conference, March was an important milestone for the Lumberyard team. This was the 30th year of GDC and the 18th I’ve attended. We’ve witnessed significant change in our industry over these years. Platforms and products have evolved. Game development has become a vast and complex business, moving from simply building and shipping products to also supporting live services. Gaming has become a lifestyle enjoyed by over two billion people around the world. What hasn’t changed at GDC is the sense of community and passion from everyone—from students to industry veterans. It was with respect for this passion that Amazon Lumberyard made its inaugural appearance at GDC. Six weeks ago we launched Lumberyard and Amazon GameLift with the aim of giving developers a powerful game engine that is deeply integrated with AWS and Twitch. Our hope is that this technology will enable game makers to both create unparalleled experiences, and to connect to and engage with fans in a community around their games. We kicked off GDC on March 14th with our first Lumberyard update: Lumberyard Beta 1.1. Our first update included 208 improvements, fixes, and features. Major features included significant workflow improvements, the introduction of mobile support, and extensions to the functionality of Twitch ChatPlay. An overview of Lumberyard Beta 1.1 is available here and you can download it here. The updates in this release are in addition to the new autoscaling features and region additions we announced for Amazon GameLift on March 10th. Autoscaling allows you to give GameLift simple rules to automatically decide when to use more virtual machines to support your game, and when to shut down machines to save you money. You can learn more about that update here. We will continue to release regular updates to Lumberyard and Amazon GameLift, so look forward to many more to come. On March 15th, we hosted a Developer Day with talks by some of our team leads. These talented developers dove into Lumberyard with a special focus on our community-enabling features, and our approach to engine architecture and components. Chris Byskal and Geoff Pare gave a walk-through of Amazon GameLift and autoscaling. During their talk they demonstrated autoscaling taking a test environment past 1,000,000 players. They have written up a blog describing the details here. Bill Merrill and Rosen Baklov served up pizza slices, both metaphorical and real, in their talk about Lumberyard’s approach to engine modules, game systems, our new component entity system, and our “slices” composition system. Together slices and the component entity system allow you to create reusable templates for repeating elements in your game, place them in your world, and customize them individually. You can read Bill’s blog post about reworking Lumberyard’s entity framework here. Hao Chen provided a deep look at rendering output for the latest High Dynamic Range (HDR) televisions using a demo created in Lumberyard. The graphics technology in Lumberyard is extremely powerful, and we got a hint of its capabilities with a look at a new character, Rin. James Clarendon talked about building cloud-connected games using Lumberyard’s Cloud Canvas visual scripting tools for AWS services. Twitch’s developer relations maestro, Brooke van Dusen, gave us a data-driven glimpse inside what makes popular Twitch broadcasters successful. 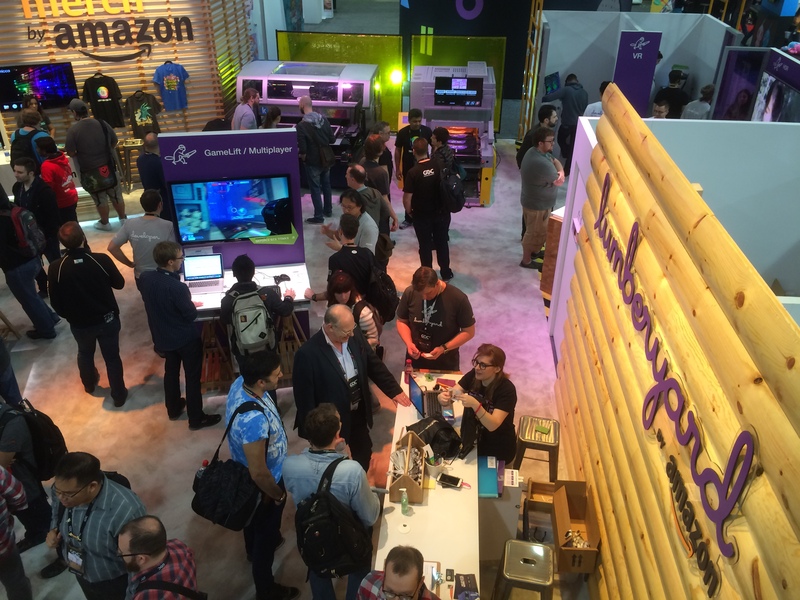 In addition to Lumberyard demos, we shared our expo booth with Twitch, a Merch by Amazon T-shirt printer, and an AWS solutions desk. Twitch’s space highlighted the new Developer Success Program, which helps game makers leverage Twitch within and alongside their applications. Twitch Developer Success is a valuable resource for broadcasters and developers trying to build a community with their broadcasts. We demonstrated ChatPlay, Lumberyard’s initial integration with Twitch. ChatPlay lets Twitch viewers interact with game logic by sending chat commands to the game. One of the most popular spaces in our booth was our VR ChatPlay demo, which let Twitch viewers use chat to decide the fate of participants. Read about Venture Beat’s Jordan Novet’s reaction here. It wasn’t all Twitch on the show floor, though. Cloud enabled features were a big part of our presence, with a live demo of GameLift running a multiplayer game, and a Cloud Canvas sample game (Don’t Die) showing both the game and the behind-the-scenes flow graph. We also featured some of our new core engine capabilities, with demos of our new Component Entity system and mobile support. We rounded this off with previews of upcoming support for HDR TVs and VR. 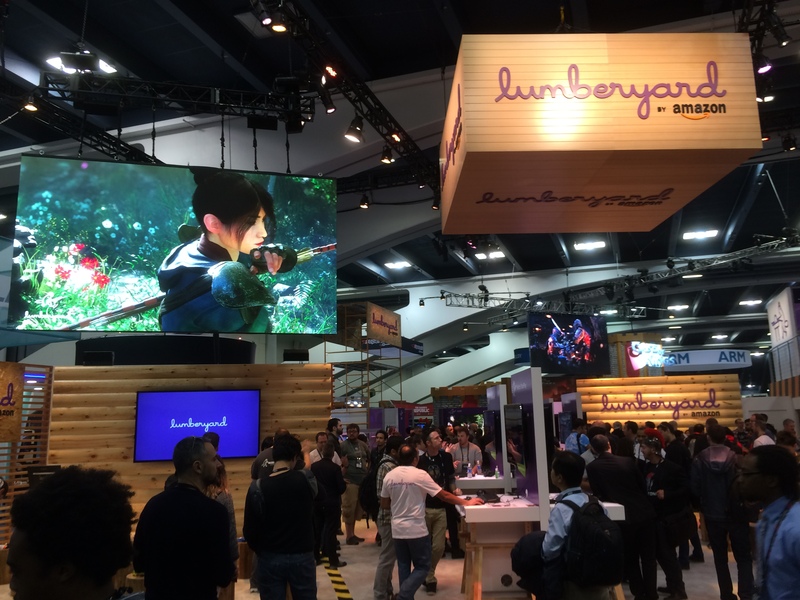 GDC was the first opportunity for many developers to see Lumberyard in action and talk face-to-face with its developers. We heard a lot of feedback and feature requests, and we’re so grateful for the warm welcome we received from everyone. We appreciate the reception and enthusiasm we received at GDC, and everything we heard will inform the future of Lumberyard. Come get involved by letting us know what you want to see in the Lumberyard forums.